Create calendar marker with free templates and examples. Calendar marker has never been easier. A calendar chart is a visualization used to show activity over a period of time, such as weeks, months or years. It is best used when you want to illustrate how some quantity varies depending on the day of the week, or how it trends over time. 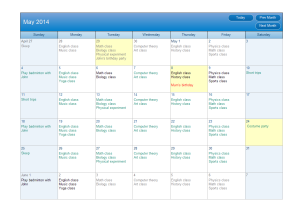 Calendar chart can also be used to track something, keep a journal and share information, etc. 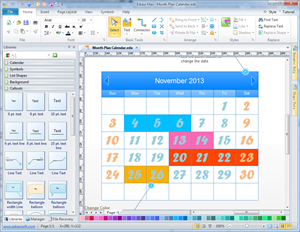 Edraw's calendar software is ideal for personal, family or business use. Use our cloud server service to keep your calendar and you'll always have an up-to-date calendar just a few keystrokes away. Moreover, you can securely share your calendar with co-workers or family. Edraw Calendar software allows you to create customized calendars for time schedule, planning, scheduling appointments, meetings, birthdays, vacations, special events from templates. All the weekly, monthly, or yearly calendars are available. You can highlight the events, special days, or future plans with pre-defined message shapes and markers. There are many styles you can choose, and the intuitive interface and smart tools help you customize your design freely. 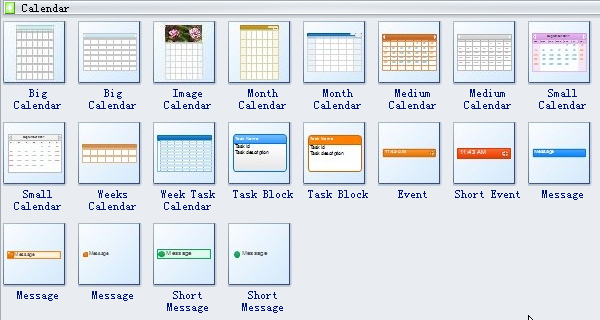 A calendar plan template is elaborately designed which can be applied anytime to help manage time and work.